This statistic shows the gross domestic product (GDP) in Greece from 2012 to 2017, with projections up until 2022. 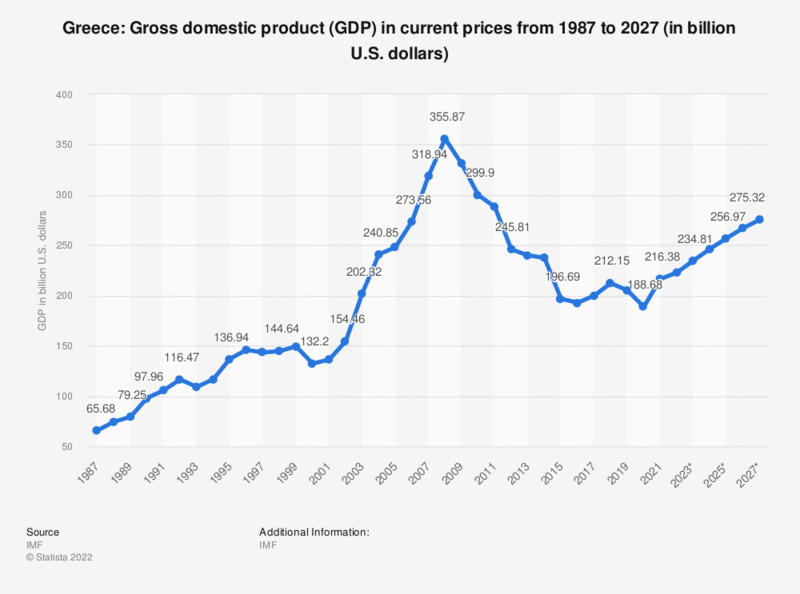 GDP refers to the total market value of all goods and services that are produced within a country per year. It is an important indicator of the economic strength of a country. In 2017, the GDP in Greece was at around 200.69 billion U.S. dollars. See global GDP for comparison.